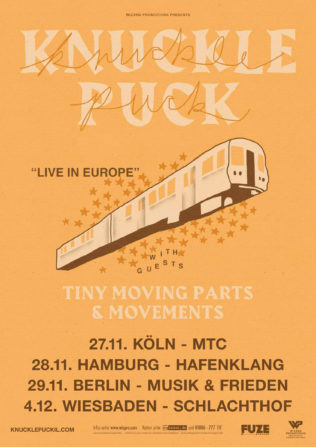 Knuckle Puck müssen ihre Tour aus persönlichen Gründen absagen. “the past few weeks have been incredibly challenging for many in our community, including myself. recent news has resurfaced some things from my childhood that had been repressed. those experiences have had lasting effects on my mental well-being. Die US-Pop-Punk-Hoffnung mit zweitem Album im Herbst zurück. Shows im November /Dezember in Köln, Hamburg, Berlin und Wiesbaden. Neues Album „Shapeshifter“ via Rise Records am 13. Oktober 2017. 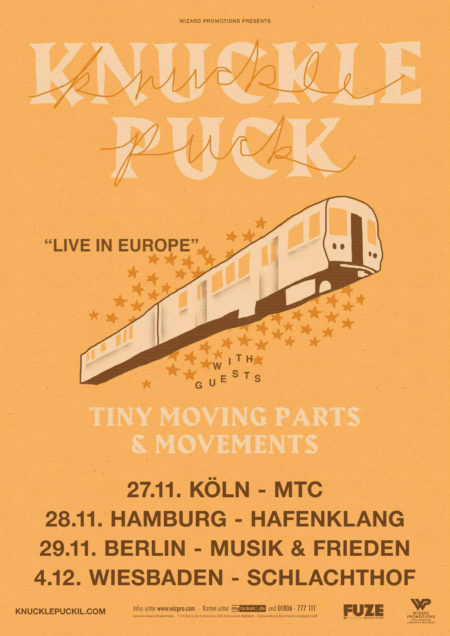 Special Guests: Tiny Moving Parts, Movements. Tickets ab Freitag, dem 4. August 2017 erhältlich.